All women undergo menopause at some point in their life. During this biological process, the female body undergoes a lot of changes due to a fluctuation of the hormone levels. Hot flashes, mood swings, weight gain, insomnia, and other symptoms are common during this period. These symptoms, unfortunately, are unpleasant, for some women more than for others, having a great effect on their daily life. Hair loss is a common problem for women during this process, as the hair gets thinner in the top of the head, on the sides or on the front. What can you do about it? Hair loss occurs due to hormonal imbalance, as the levels of estrogen and progesterone are lower than normal. In cases when the levels of these hormones drop, the hair gets thinner and it grows more slowly as well. On the other hand, the production of male hormones, known as androgens is increased, as the female hormones estrogen and progesterone decrease. Androgens also play a role in the hair loss during menopause as they shrink the hair follicles, contributing even more to hair loss. Androgens, also cause more hair to grow in places where it normally should not grow, such as on the face. Even though during menopause hair loss is related to hormonal imbalance, there are many other factors that contribute to this unpleasant occurrence. A lack of certain nutrients, the presence of other diseases and even constant stress play an important role when it comes to hair loss during menopause. A complete blood count, including examination tests for thyroid hormones, is also necessary in order to rule out other possible factors that can contribute to hair loss. You are losing hair during teenage years or in your twenties. You are losing hair in unusual patterns. Your skin on the scalp is abnormal, scaly and red. 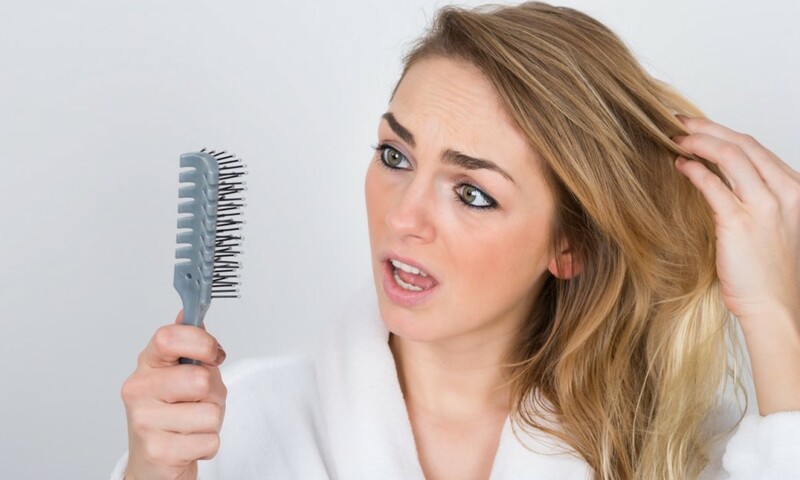 Your hair loss is accompanied by pain or itchiness. You have an abnormal menstrual cycle. You have hair on your face. You have other signs and symptoms that are bothering you. Stress has a great impact on the levels of various hormones in the human body, so avoiding stress as much as possible is necessary. As the levels of estrogen are reduced during menopause, certain brain neurotransmitters are affected, causing mood swings, anxiety, and even depression. In order to avoid and reduce stress, choose activities that will help you relax, such as swimming, yoga, listening to music, jogging, walking, etc., whichever you prefer. For a healthy life staying physically active is a must. If exercises are part of your daily routine you will feel much healthier and happier at the same time. By staying physically active, other signs and symptoms of menopause such as weight gain, mood swings, or insomnia are prevented as well. What you eat has a great impact on your overall health. A low-fat diet is necessary when dealing with hair loss. 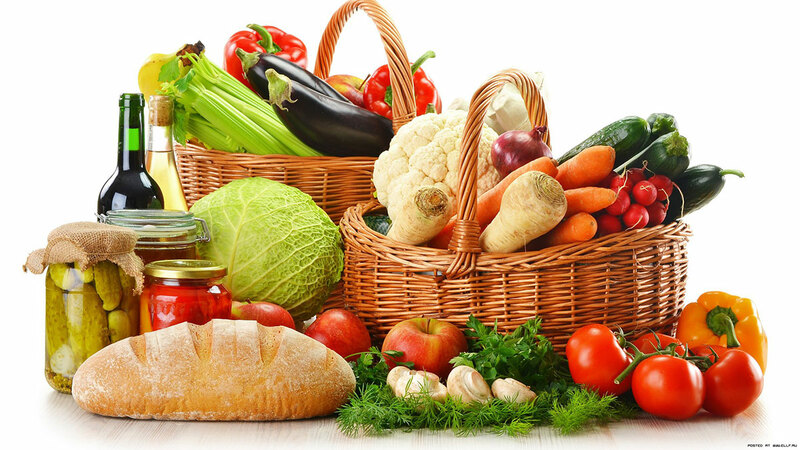 For this reason, fruits, vegetables, lean meat, and whole grains should be part of your daily diet. Olive oil or sesame oil should also be part of your diet as well. In order for your body to function normally, it needs to stay hydrated all the time. For this purpose, drinking plenty of water every day is necessary. Avoid drinking sodas, juices, or flavored drinks as much as possible. The amount of water a person needs a day depends on various factors. However, in general, it is recommended for everyone to drink at least 8-ounce glasses of water a day. Getting a good night’s sleep is very important for your overall health, including your hair. As during sleep the body regenerates, sleeping well and sleeping enough hours during a night are necessary. If you are having a hard time sleeping, try to avoid stress as much as possible – have a lavender bath or a shower with hot water, or read a book instead of surfing the net and checking what’s going on in social media, as these activities have a great impact on your sleeping pattern. By sleeping well, your hormones will be rebalanced, reducing this way the hair loss. The health of your hair will depend a lot on how much attention you pay to your hair and which cosmetic products you use. For this purpose, avoid certain hair products such as certain hair styling, hair dyes, hair dryers, extensions, straightening irons, etc. All these have a great impact on the health of your hair. After a shower let your hair get dry naturally and avoid hair dryers or straightening irons. Let your hair grow naturally and don’t wear extensions. If you need to dye your hair, choose only natural hair colors. Remember to use nourishing conditioners and shampoos when you wash your hair. Use a cap for swimming as chlorine can damage your hair as well, making it get dry and break up easily. A scalp massage can also be helpful as it will promote the regeneration of hair follicles and hair growth. Alternative remedies can be quite successful when it comes to dealing with menopause- induced hair loss. Herbal remedies are commonly used. There are two types of herbal remedies: hormone-regulating herbal supplements and phytoestrogen herbal supplements. Hormone-regulating herbal supplements work by stimulating the production of hormones from the endocrine glands. As more hormones are produced naturally by these glands, the hormonal imbalance will get regulated. This is the safest way to treat menopausal hair loss naturally as it only increases the production of hormones from the body’s own glands. Phytoestrogenic herbal supplements such as black cohosh or ginseng, on the other hand, are packed with estrogen components produced by plants. They work by regulating the hormonal imbalance in the body. However, a negative side of these phytoestrogens herbal supplements is the fact that the human body can produce less estrogen now that the estrogen is supplied from the outside. In severe cases of menopausal hair loss, a drastic treatment is necessary such as prescription medications or even surgery. Before considering any of these two options, a woman should consult her healthcare provider in order to choose the best treatment option possible. Prescription medications are often too expensive and they carry negative effects at the same time. The most common prescription medication for the treatment of hair loss due to menopause is hormonal replacement therapy. Scalp lifts, laser therapy, or hair transplant surgeries are options in severe cases of hair loss due to menopause. All these surgical procedures are quite expensive, require a certain amount of time and are related to many side effects and possible complications.